After being deathly ill over the weekend (I mean, come on, sick days should always be during the work week, right? ), I managed to drag myself back to work. Low on an appetite and all energy, I get a message from my co-worker that she had something for me. Excitedly, I hurried downstairs to see what it was… Our friend, Kristen had brought me some of her homemade, delicious cupcakes! 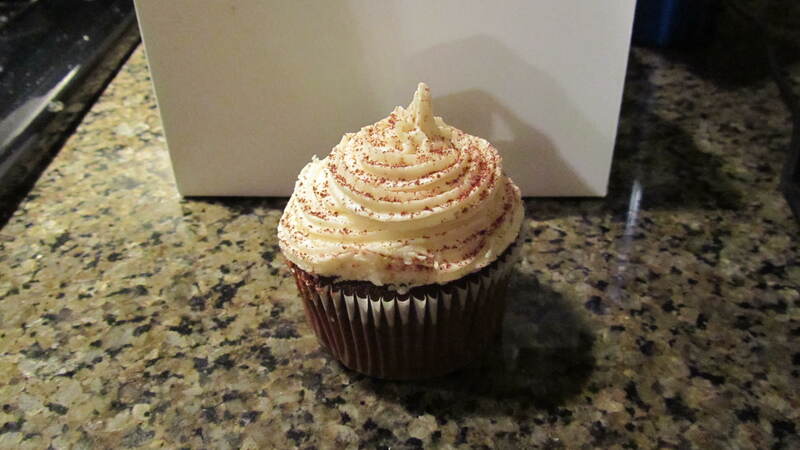 In honor of March’s great holiday, she made Guinness cupcake with Bailey’s buttercream. The cake was fluffy and moist in the center, but had an interesting, subdued flavor. The Guinness added bitterness, which was different from most of the super-sweet cakes I’ve eaten. The frosting was a sweet explosion of Bailey’s! The edges of the frosting were crisp on the tongue, but then melted in your mouth. It was smooth, just like a nice sip of Bailey’s. This was the most perfect cupcake I have ever seen. The frosting was neatly swirled, covering the entire top of the cake. Then, it was gracefully dusted with chocolate shavings. 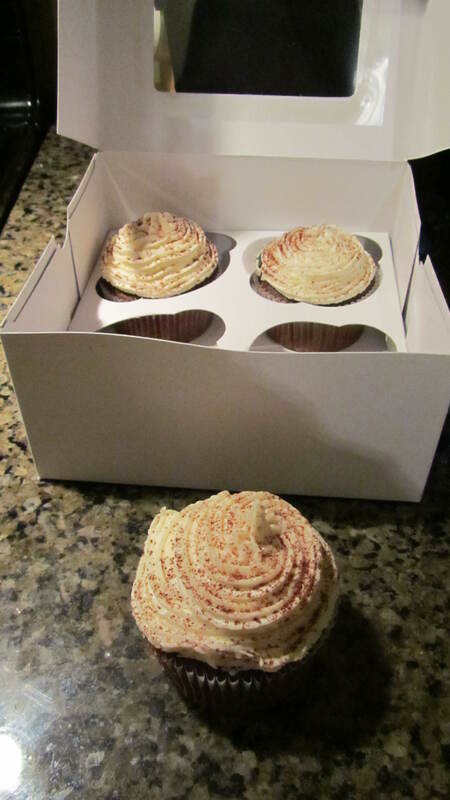 She even had a cupcake box to store them. They just looked perfect, just absolutely perfect. The bitterness of Guinness cake matched wonderfully with the powerful sweetness of the Bailey’s buttercream. It was as if I was eating a lovely after-dinner drink! I enjoyed getting the opportunity to sample Kristen’s homemade creation. Not only did I enjoy it, but I felt so privileged that she shared it with me, from one cupcake aficionado to another! I look forward to tasting many more of her creations! It was one sweet surprise that completely warmed my heart! Thanks Kristen!